But from the beginning, her work at Planned Parenthood was fraught with conflict, not only between the workers at the clinic and the protesters who stood outside the fence each day, but also a deeper, inner struggle as God began to speak to her heart. The question leaves her unsettled, but when Abby begins to see the difference she is truly making in the lives of the women who come to the clinic for help, she falls in love with her job. As she is quickly promoted through the ranks at Planned Parenthood, she becomes determined to make peace between the clinic and the protestors that congregate outside as a show of good faith, and is encouraged as their protests became more peaceful. With everything going so well, Abby felt certain that this was where God had called her to be. But everything changes one day when Abby is asked to assist in an abortion. With the ultrasound probe in her hand, she watched in horror as the unborn baby struggled to escape certain death. Shaken to the core, Abby is caught in an inner struggle as God speaks to her heart and slowly opens her eyes to the reality of what she had been advocating for so many years. Not yet willing to relinquish her position as Director, and trying to make sense of her conflicting emotions, Abby hopes to use her position to further reduce abortions and lead women to choose adoption- until she is told she must increase the number of abortions performed at her clinic to boost revenue. Suddenly Abby knows she must leave Planned Parenthood, no matter the cost. What unfolded next was beyond what anyone could have anticipated, as Abby -and her legal battle with Planned Parenthood- are launched into the forefront of national media frenzy that will not soon be forgotten as she joins the efforts to bring an end to abortion once and for all. This incredible story will move you to tears. With raw emotion and shocking honesty, the author shares an insider’s view of the abortion industry, as well as her own tragic experiences with abortion. Abby’s story is an eye-opener, exposing the ugly truth of abortion and the lasting effects it has on the women who receive them. But it also reveals to readers the compassion and good intentions of the many workers and volunteers who join Planned Parenthood in spite of, not because of, abortion, making a plea of compassion for all those on both sides of the issue. Unplanned provides a wonderful opportunity to discuss the controversial topic of abortion with your friends and associates, as it approaches the topic with sincerity and compassion from a woman who has fought on both sides of the debate. 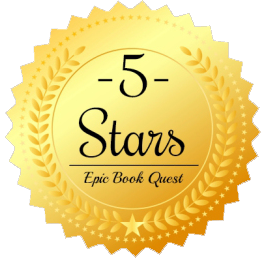 I cannot recommend this book highly enough! I received a free copy of this book from the Tyndale Blog Network in exchange for an honest review. 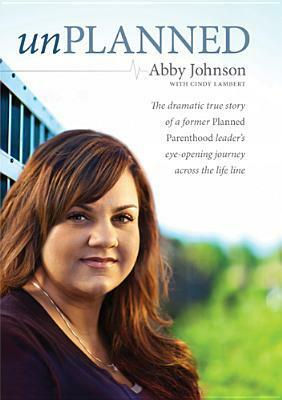 Abby Johnson began working with Planned Parenthood in 2001 and progressed to the position of community services director and health educator, where she served as liaison between the community and Planned Parenthood as media correspondent. Later promoted to health center director, Johnson ran both the family planning and abortion programs. in 2009 she left planned parenthood and joined the local pro-life movement as a volunteer. Jan. 22 2015 marks the 42nd anniversary of Rowe vs. Wade. Since 1972 57,762,169 children have lost their lives in America through abortion. If you are unsure of where you stand in the abortion debate, I encourage you to watch the following video that addresses this issue. After you do, please leave a comment below to let me know what you thought!